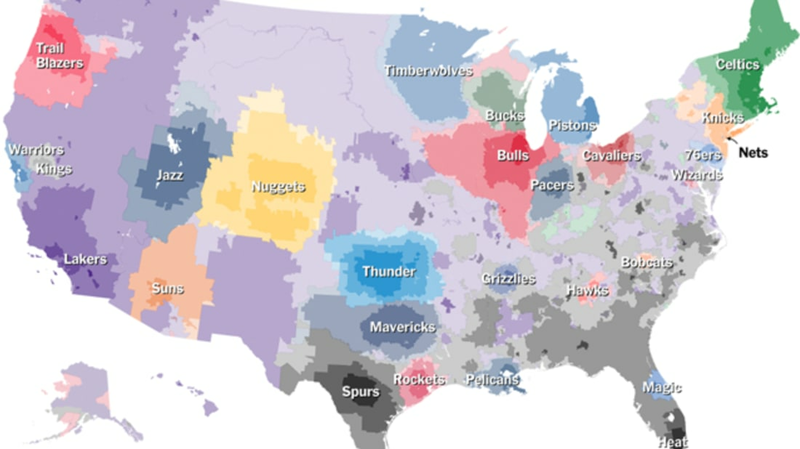 Last season, The Upshot used Facebook data to find out which regions were rooting for what teams. They created a map by looking at the number of Facebook “likes” in each ZIP code (or census division in Canada). It's noted that although Canada appears to be mostly dominated by the Lakers, the Raptors often come in a close second. You can play with the interactive version here. Here are similar maps for the NFL and Major League Baseball.